The update to iOS 4.2 (s aapl) that rolled out last Monday went pretty smoothly, but there were many cases of people who updated to 4.2, then seemingly lost all of their music. I didn’t have this bug on my iPad, but I wasn’t so fortunate with my second-generation iPod touch. Luckily, the fix isn’t difficult. In iTunes, click arrow next to your device in the source menu on the left-hand sidebar, and go to “Music”. That should do the trick. It worked for me as well as other TAB staff affected by the bug. When you fire up your music app, you should see your music there again. If those steps didn’t work for some reason, let us know in the comments. For missing music just click sync then slide the cancel sync on your phone right away, it will say organizing folders this can take a few mins then tada music. My problem is with playlists. Songs simply repeat, rather than moving on to the next. Is there a fix for this? Why hasn’t Apple addressed all these issues? Since not the whole world writes in english (not yetâ€¦ lol) we need the Ã©; Ã¨; Ã« and so on, badly. I had this same issue happen to me but applying your fix exactly as you stated worked like a charm. Thanks for the post. For me, it was simply resync, as noted on some other blog. Didn’t have to play any song. Wish I had known about the Spotlight thing. Bet it would have worked, and I would’ve had my music before I got home. The update seemed to rid a bunch of my native apps of info, deleted a bunch of my contacts and disabled my voicemail. Dumb. 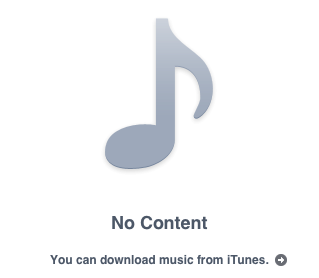 I didn’t have that bug…my iPhone stopped shuffling my songs. I tried everything and it would not shuffle, only played the same song over and over again. I had to delete my play list and start again! Soo lame!